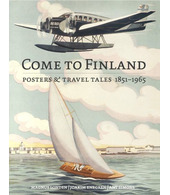 The artist Per-Olof ‘PON’ Nyström was one of Finland’s leading graphic artists. His works cover the entire spectrum of functional design. 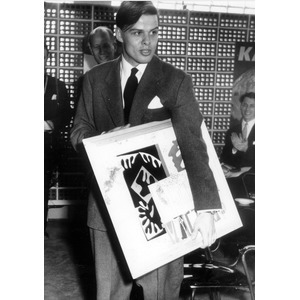 Nyström’s career as a graphic artist started in 1948, when he was a summer intern at the advertising agency Oy Mainos Taucher Reklam Ab. He stayed at Taucher for almost forty years until he retired in 1988. As well as working at Taucher, Nyström had time to draw almost 10,000 drawings for one of the daily newspapers in Finland, Hufvudstadsbladet. Among Per-Olof Nytröm’s many award-winning works, it is worth mentioning the classical poster Finland-Woodland, with which he won the 1960 Finlandia poster competition. He designed many corporate logos, for instance the company Wulff’s logo. Nyström also designed the owl introduced in 1965 as the signature of the Finnish media company MTV3. The owl is still being used by the company today. ‘Good ideas need a certain atmosphere. A single individual cannot create such an atmosphere’.